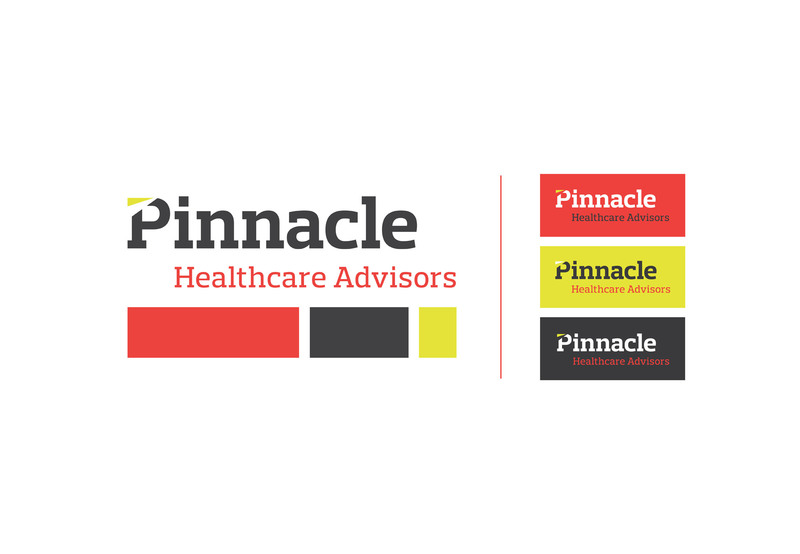 Pinnacle Healthcare Advisors: Achieving Peak Performance - Schaefer Advertising Co.
Pinnacle Healthcare Advisors, Inc., is focused exclusively on partnering with healthcare providers to improve clinical, operational and financial performance. Their consultants have an average of 20 years of experience in healthcare, which includes working for both healthcare providers and consulting firms. Additionally, our consultants have both clinical/operational and IT experience and are experts at fully leveraging system capabilities to meet end-user needs. It’s this unique breadth of knowledge and experience that sets us apart. 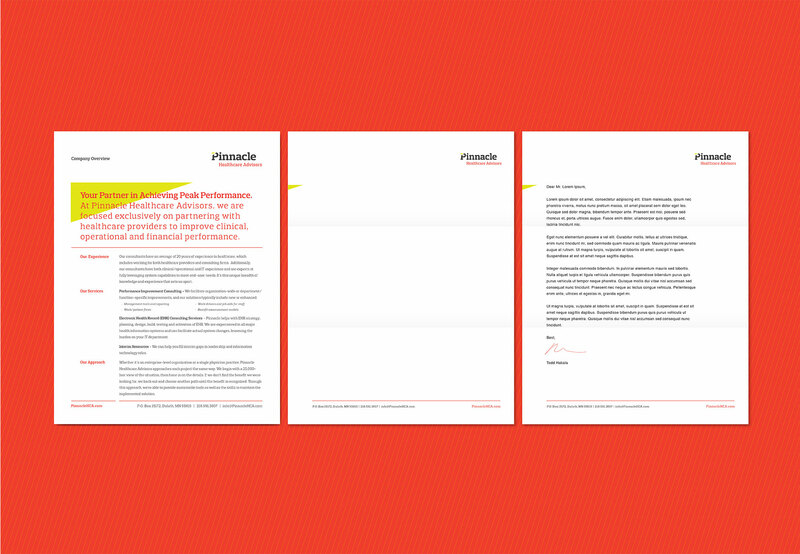 Schaefer was tasked with updating the Pinnacle brand to match their highly specialized offerings and vast experience in an ever changing industry. 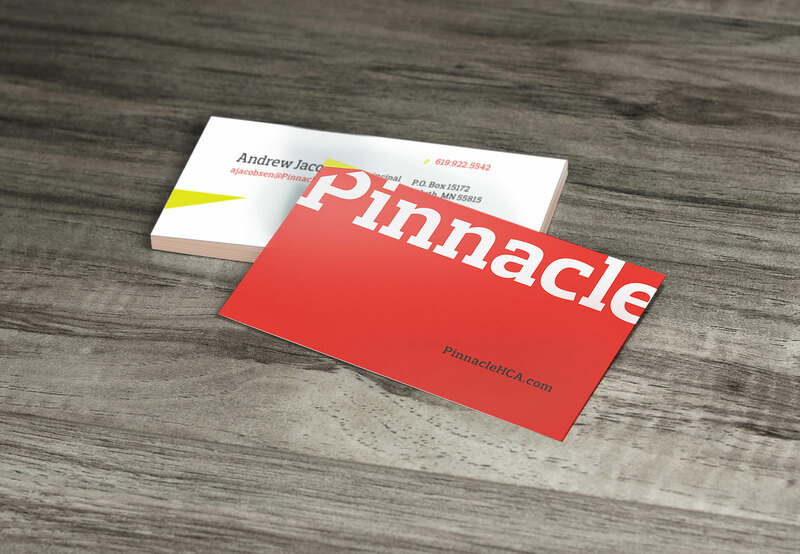 We worked through branding and collateral materials to give them a solution that separated them from their competition and gave them an identity that could work hard for them with a bold, strong presence. The new logo eliminates the separated icon of the original and instead incorporates an angular flag into the letter P. It’s a simple design detail that simplifies their logo and creates a clean, modern look. The bold color palette of red and electric yellow was selected to stand out from the ocean of ‘waiting room’ blues and grays found throughout any healthcare sector. 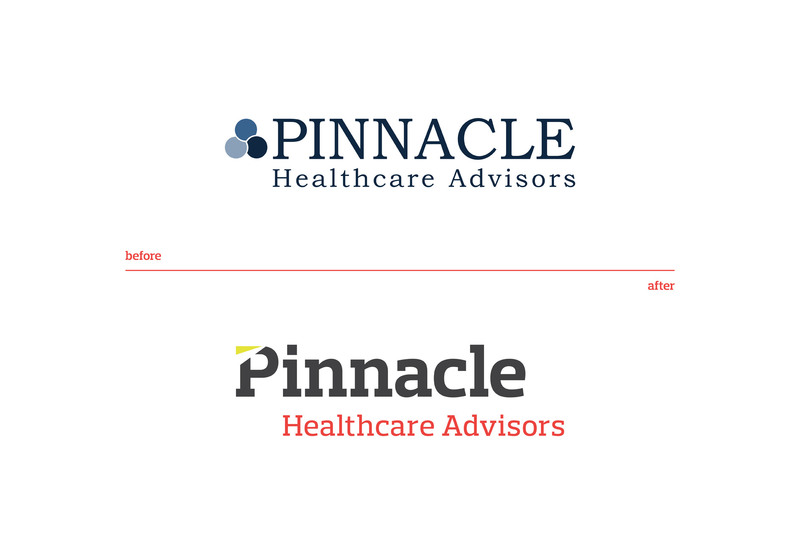 Like most of our clients, Pinnacle’s offerings were already the top of their industry, what hey needed was a consistent brand identity with a personality. Now, they have the proper brand foundation to build on as their company continues to grow.